This itinerary of Sri Lanka covers the cultural triangle and six of its UNESCO sites in the Central-North part of the country. 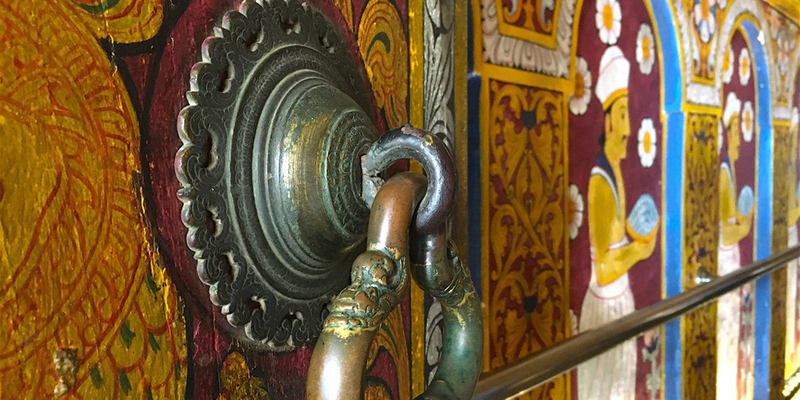 The cultural triangle in Sri Lanka includes exquisite history, Buddhist art and architecture at its finest. While it is doable in four full days, a week would be more ideal. That gives you more time to enjoy the gorgeous hotels and perhaps include a morning visit to a safari. Be up by 7am to enjoy a full breakfast that must include Sri Lanka’s famous egg hoppers. At 8am, begin your four hour car ride to Anuradhapura. The roads are smooth so a comfortable ride can be expected, do stop for drinks and a bathroom break along the way! By noon, you would have arrived at Sacred city of Anuradhapura. Kickstart your visit with a delicious lunch at the Tissawewa Hotel. Everything is freshly prepared which results in a 30 minute wait, but the Sri Lankan curry and rice is well worth it. The sun is harsh between the hours of twelve and two, so its best to avoid being outdoors as much as possible. At 1pm, get tickets at the Museum and ticket office of Anuradhapura. UNESCO sites in Sri Lanka have a fairly high entry fee of USD30-40 per person. Although a guide isn’t necessary, you would be missing out on a significant number of legends, stories and tales. After a bit of negotiation, a guide usually costs 1,500 for a 3 hour tour. Remember to being socks! You are required to take off your shoes when visiting temples, and the marble and rock they are made of will burn from the sun’s rays. 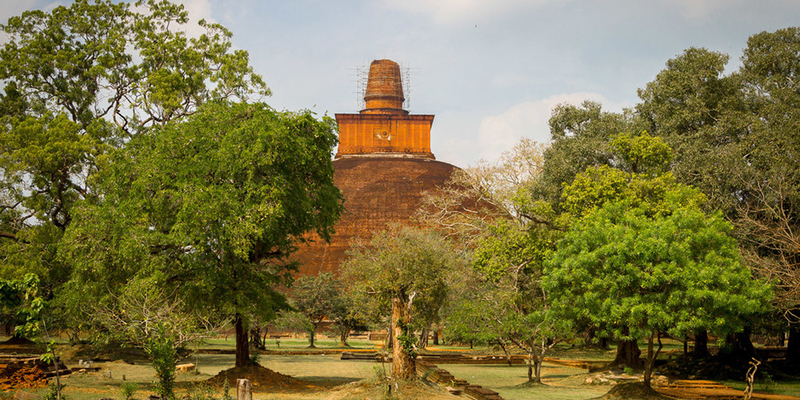 More about Anuradhapura here! Spend your morning in Ulagalla’s pool or attend an early yoga class, the hotel offers a variety of activities for guests to enjoy. Let the singing birds greet you while you enjoy a slow breakfast. 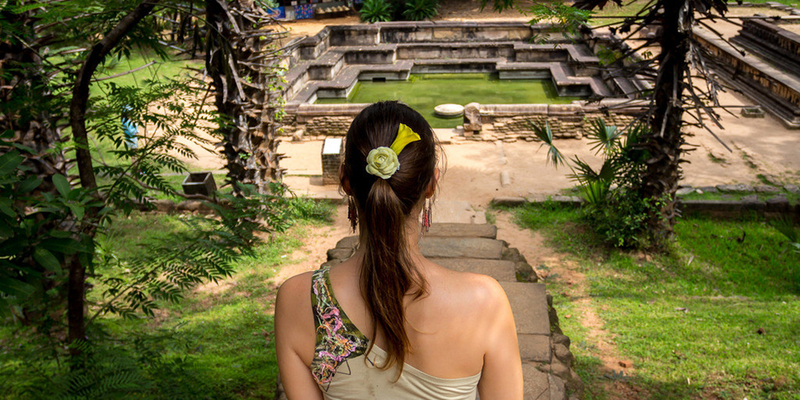 When you’re ready, make your way to the next chronologically ancient city- Polonnaruwa. Polonnaruwa is another UNESCO site, and is just a 1-2 hour drive away from Anuradhapura. When you arrive, ask your driver for lunch recommendations. When Anuradhapura was attacked by the South Indian troops, the Sri Lankan Kings took refuge in Polonnaruwa. 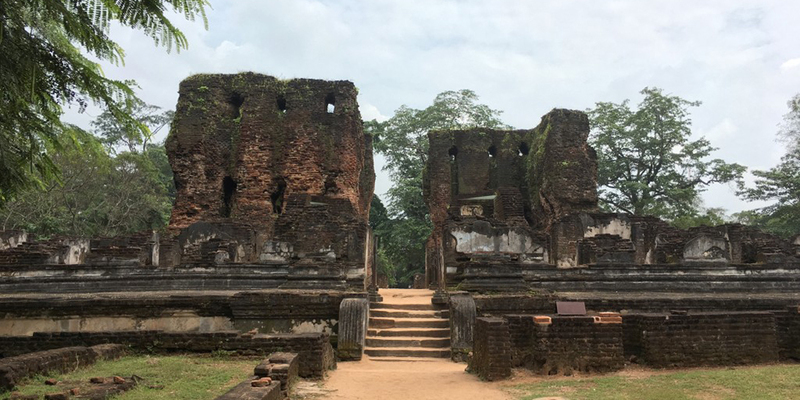 Due to Polonnaruwa hosting a later civilisation, some of its ruins are better preserved. Expect a variety of statues, temples and remnants of old buildings. The museum is has a slightly better collection than the one in Anuradhapura and tells more stories of its past. Explore the city with a hired guide if you prefer, although many choose to explore on a bicycle. Compared to Anuradhapura, the ruins and more compact and more accessible. Read more on Polonnaruwa here! The ancient city of Sigiriya is the most visited UNESCO site in Sri Lanka. Originally a Buddhist Monastery, it became the Palace of Pleasures before turning back into a Monastery. Arrive early to beat the crowds, I was there at 8am. A person with an average degree of fitness would take a maximum of 45 minutes to climb the stairs up the 300m high rock- don’t look down! Once you’re at the top, enjoy panoramic views and quiet, spiritual peace. Sigiriya is known for what is believed to be the oldest irrigation system in the world. Their labyrinth of dams and canals provided water to the city and today can be explored for another USD30-40. 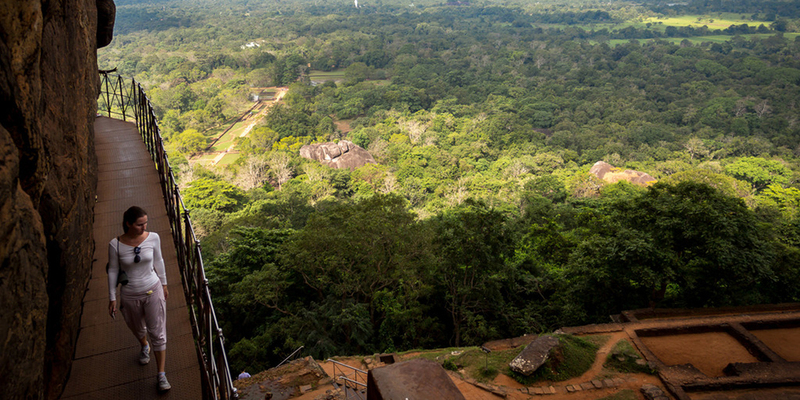 More on Sigiriya here! Leave Sigiriay for Dambulla, another UNESCO site. Have lunch at one of the many restaurants on the city’s main road- ask your driver for recommendations! Once you’ve eaten your fill, walk up to the Rock Temple of Dambulla. This will never fail to impress- the five caves completely covered with paintings and statues are amazing! Do bring socks as the stone floors here get painfully hot as well. Another UNESCO site, Kandy is the second largest city in Sri Lanka. Busy yet refreshing, sights in the city include the Monastery, the Tooth Relic and the Botanic Gardens. For the same reasons, bring socks! 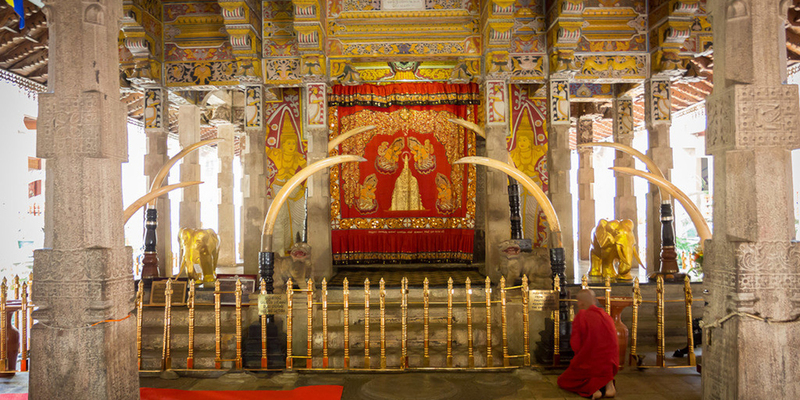 The Monastery is a place of pilgrimage, so do expect to see locals paying their respects to the Tooth Relic. Kandy was a popular British colonial enclave and signs of this is still evident today. If you have an extra day or two, why not take the train from Kandy to Ella? It is one of the most scenic train rides in Asia and a beautiful part of the country. Due to bad traffic, the drive to the airport will take 4-5 hours including rest stops. 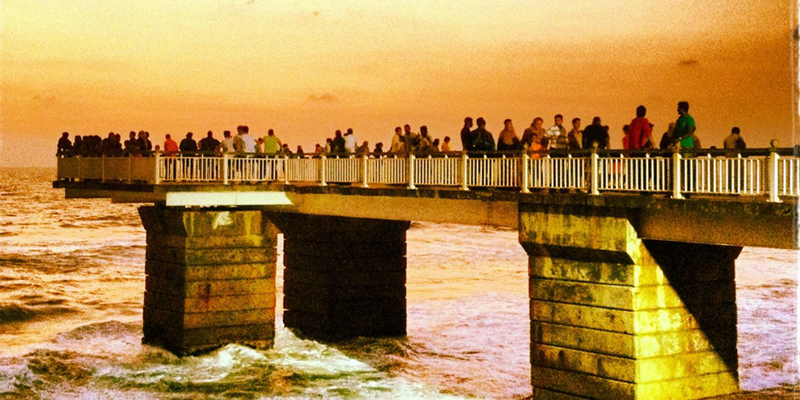 If you arrive in Colombo with ample time to spare, stroll along Galle Face Green or have a meal in a restaurant. If you only have an hour, Negombo is a costal town near the airport that offers decent dining options. I recommend the Jetwing Hotel Blue. 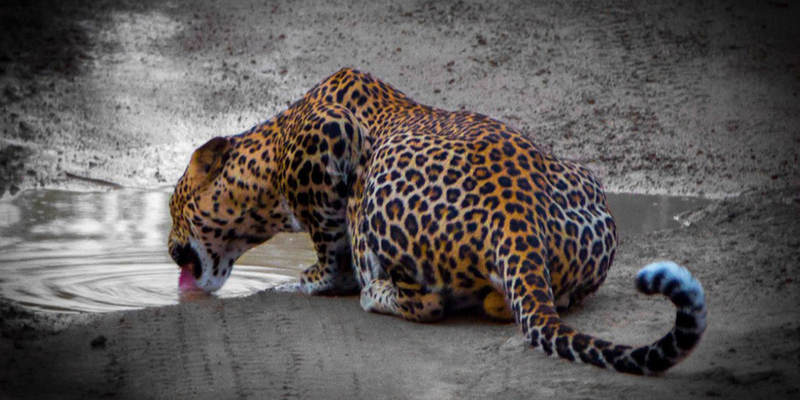 Take the opportunity to see some leopards at the Wilpattu National Park! Organise your trip to the safari at Ulagalla, the resort listed below will take care of the details. If you have another free day to fill, stay at the Mandulkelle Tea and Eco Lodge and trek the Knuckles range. Once you’ve landed, ditch the taxi queues by booking a ride in advance with Blacklane! Colombo has a multitude of hotels to stay at and more and more are opening every month as the country experiences a real boom. If you land late and can’t be bothered to go into town, a beautiful place to stay near the airport is the colonial and luxurious The Wallawwa. Reservations start at SGD$320 per night. If you have time and prefer to get into town, Galle Face Hotel is a local institution and one that has been there for over a century. Galle Face Hotel is in the same history table as The Raffles Singapore, though perhaps a little less grand and well maintained. Located at the end of Galle Face Green, this Grande Damme of the 19th century was once considered the best hotel East of Suez Canal. First starting as a Dutch House, it was turned into a business by four Englishmen. 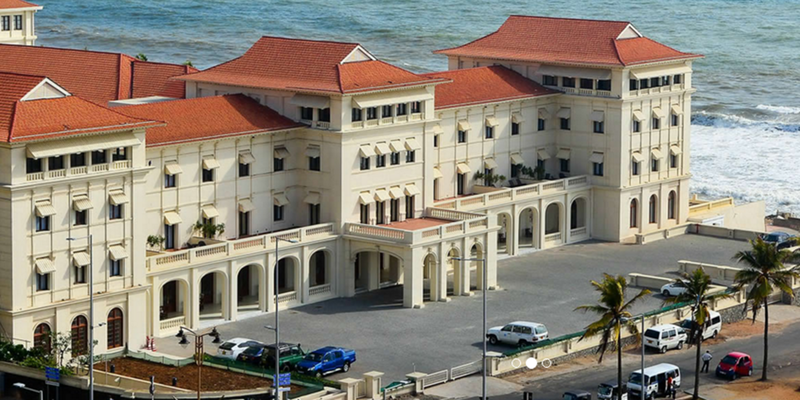 Galle Face Hotel remains a family business run by the grandson of the original owner. You want to ask for a room in the recently refurbished North Wing and enjoy egg hoppers for breakfast, in the courtyard and a long drink hearing the sound of the waves. Check latest prices here, with latest rates starting at SGD$150 per night. I would highly recommend staying at Ulagalla, one of the most romantic and beautiful hotels I have ever stayed at. 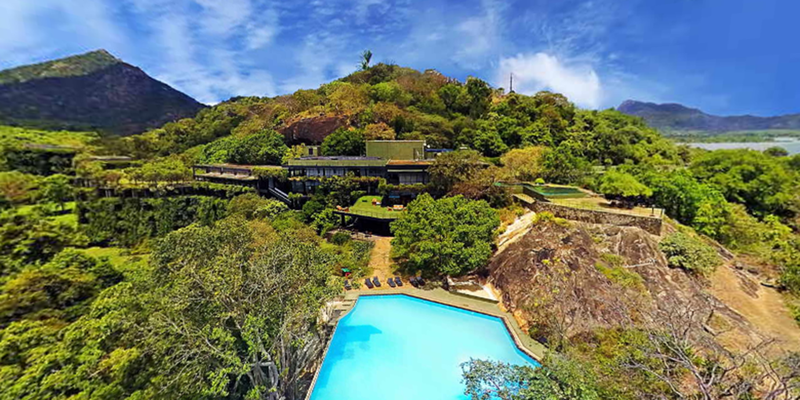 Francisco and his team will make you feel like visiting a long lost friend who escaped urban life and retreated to the peace of Sri Lanka’s rice fields. The hotel is made of 18 villas set among lush jungle and foliage and located in perfect isolation and privacy. Get ready to enjoy the outdoor jacuzzi and a romantic dinner under a blanket of stars. Be sure to call ahead to book one of these romantic experiences in advance. Aside from the more “standard” dinner by the pool the hotel, you can also arrange a special meal in the ride paddies or on the observation deck from where sunset will be unforgettable. Not to be missed. Check latest prices here. Reservations start at SGD$586 per night. If Ulagalla is a bit out of your price range, Cinnamon Lodge is a more affordable alternative offering colonial architecture and the professional service of Cinnamon properties. Check latest prices here. Rates start at SGD$240 per night. 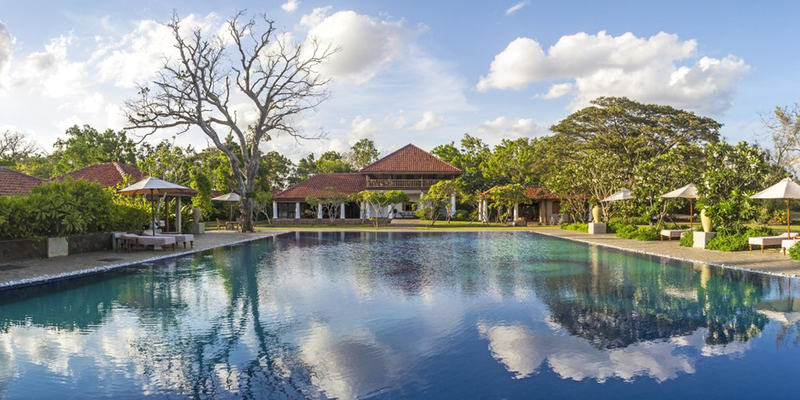 In Polonnaruwa, you want to stay at Kalundewa Retreat, another beautiful property in the middle of the rice fields. This is an exclusive property which has only 6 rooms and which is focused on minimizing impact on the environment. Check latest prices here, rates start at SGD$235 per night. If Kalundewa Retreat is not available, another option is Heritance Kandalama Hotel a beautiful property on the shore of a lake. Check latest prices here, rates start at SGD$192 per night. Whatever you do don’t stay at Jetwing Vil Uayana. I made that mistake, I booked a night in the most uncaring property in Sri Lanka. Charging over $500 the rooms were filthy with oxidized faucets, thick spider webs, cockroaches coming out of the shower when we turned on the water and unprofessional management who has yet to reply to my email with feedback. The drive to Mandulkelle Tea and Eco Lodge, the hotel for the last night, is dramatic but it takes two hours even though the distance is short not for the faint of heart. You have never seen such breathtaking scenery and drive, especially in the last 3km to the lodge. 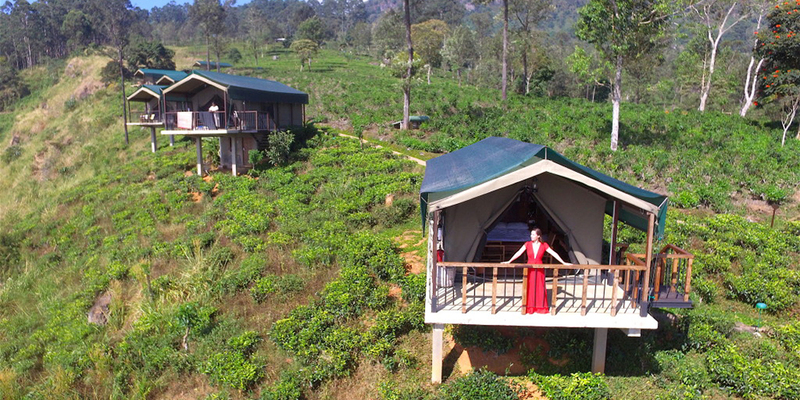 Mandulkelle is an impressive African safari meets Sri Lanka’s tea plantations in the country’s most fabulous glamping lodge. The location provides some of the most impressive views and the most romantic setting I have ever seen in what is otherwise a relatively simple place made memorable by the location. You will fall in love with the place. Get the latest rates here, with rates starting at SGD$210 per night. You would want to stay in bed longer to see the show of lights as the sun come from behind the Knuckles Mountain Range as the mist dissipates. In case you didn’t know, the Knuckles Range is part of another UNESCO site in the country. You can also enjoy dinner under the stars but bring a jumper because temperatures drop at night in this hilltop location. Snuggle up in bed and enjoy a cup of local tea. As this is a four day itinerary the first day is only arrival. Many of the flights land in the evening so chances are you will just be arriving in Colombo, recovering from any jetlag, enjoying a meal and perhaps a drink and getting a sound night sleep. If you have any more time the most fascinating part of the city, to me, was Galle Face Green, the large and long expanse of greenery, people and stalls along the seafront adjacent to the Galle Face Hotel. There are children playing cricket, families taking a stroll, lovers holding hands and a variety of stall owner offering all sorts of snacks and local foods. Plus kites flown above. The beach is not nice per se and you cannot swim but it is lively and happening. You can get around Sri Lanka by hiring a driver for a few days and this service is made available by several international agencies. Although this may be slightly more expensive, it is the most comfortable and flexible option, especially if you’re travelling between different towns like in our itinerary above. If you’re slightly more adventurous, you can also take the local bus which has an extensive network of services across the island. However, be warned, it can get a bit uncomfortable and crowded! Any person intending to visit Sri Lanka for sightseeing purposes or for a short stay is required to attain an Electronic Travel Authorization (ETA), except for Singapore, Maldives and Republic of Seychelles passport holders. ETA holders will be issued a 30 day short visa upon entry to Sri Lanka. For more information, visit this site. If you’re more of an adrenaline junkie and have a few more days to spare, why not go hiking at the UNESCO site Knuckles Mountain Range, white-water rafting, surfing or even a full cycling holiday with a tour company! Have plenty of small change at hand, like 20 rupees and 50 rupees as everyone expects to be tipped and it is common.